You know its January as The Brewster Inn Dexter Maine blog suddenly reappears again. Its been a while since I last posted but this time (yes I know I’ve said that a few times) I really do plan to keep it going. I’ve read a lot of stuff on blogging and looking at blogs, and I’ve been squirreling away lots of ideas to make it happen. 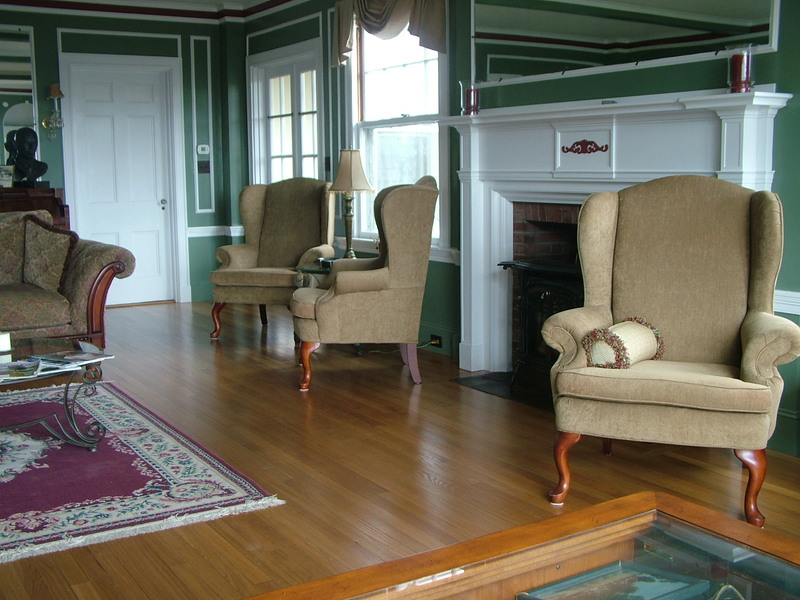 For all my Brewster Inn guests that have been to see me since my last blog post in May 2012, well you’ll know all about the continued change at the Brewster Inn. Its been busy here, no actually its been crazy here, but the business keeps getting better and better every year and 2013 was the best year yet. 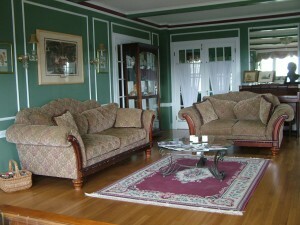 See the refinished floors in the photos above. Those are the original red oak floors but with the dark stain now removed. It looks amazing if I say so myself. 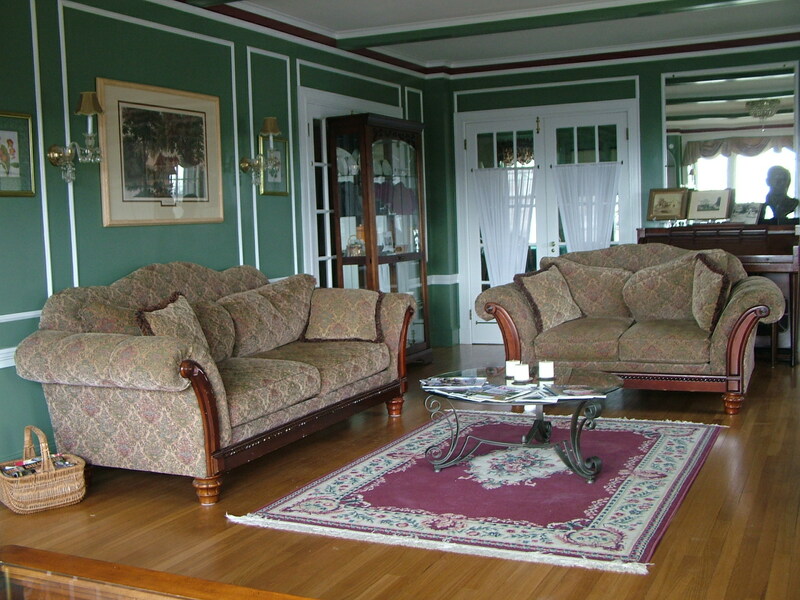 The green wall colour is a historic shade and all the trim, doors and mantlepiece are now white. A line of crimson goes all round the room just under the ceiling. Window seat cushions have also been replaced. Images of how good they look to follow in another blog post. This year we also plan to start a rug replacement programme that will probably take a couple of years to complete. The crimson rug in the picture was moved from another room. Looks good! So I think that will do for my first post. Need to save my ideas for next time. What would I like you to do now? Keep an eye on the blog, add your email address in the “subscribe” box, share the Brewster Inn blog with your family and friends via the social buttons at the top of this blog post. If you’ve stayed at the Brewster Inn before, come back and see me again. If your reading this and have never stayed here, well come on over!